We proudly represent persons who have been injured while at work or as a result of doing their work. Slappey & Sadd, LLC is an Atlanta based personal injury law firm that successfully handles wrongful death or severe injuries that may permanently impact your quality of life, income, or long-term health. To the cases we pursue, we commit the full financial, legal, and emotional resources of our firm. Call 404.255.6677 or 888.474.9616 for an evaluation of your work related injury case at no charge. If you have experienced an injury in the workplace, you may need the assistance of an experienced and competent personal injury, Workers’ Compensation law firm. At the Law Offices of Slappey and Sadd, LLC we are committed to thoroughly serving your injury needs. Our firm has over 24 years of experience dealing with Workers’ Compensation matters and is able to put this experience to work in the pursuit of a beneficial resolution to your situation. You can trust your case to our skilled and knowledgeable Workers’ Compensation and personal injury attorneys to help you win a just claim. Any injury occurring while engaged in the course and scope of duties imposed upon the employee is considered a work-related injury. 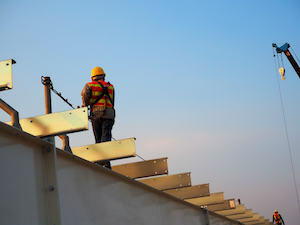 Even if a worker is injured while away from the employer’s work site, if he becomes injured while engaged in work duties, the injury or occupational disease may be covered by Workers’ Compensation law, Personal Injury law or both. State Workers’ Compensation laws generally provide benefits to workers and their dependents when they have suffered injury or death arising out of the course and scope of their work. Benefits vary from state to state, but most include medical benefits, weekly or bi-weekly income, vocational training, permanent disability and death benefits. In most work-related injuries, an injured employee’s recovery is limited to Workers’ Compensation benefits. This means the employee cannot sue the employer. However, careful analysis of the cause of injury is important because there may be other avenues of responsibility and recovery. In cases where an employee’s injury is caused by someone other than the employer, the worker may be entitled to sue the negligent party for damages in addition to benefits provided under Workers’ Compensation laws. To have a skilled Atlanta work related injury attorney review your case and help you decide how to proceed, contact the Law Offices of Slappey & Sadd, LLC. Call 404.255.6677 or toll free at 888.474.9616 to set up an initial consultation.